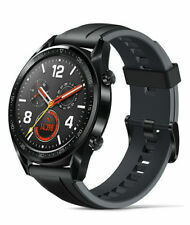 Huawei GT Smart Watch Brand New. Condition is New. Not even been taken out of box. Dispatched with Royal Mail. 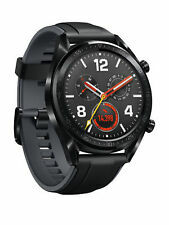 Xiaomi amazfit Stratos 2 Smartwatch English Version. Amazing watch just been opened to try on in new condition and never used I had purchased for my wife but she says it's too big so I've had to buy a apple watch 38mm instead I will only sell to UK buyers with a feedback above 10 Dispatched with Royal Mail Signed For® 2nd Class. Ultra-light & Anti-less design: Ultra-light & Small design, easy to switch wearing mode. Wearing Anti-lost design (Anti-loss design for the main part by two-tone injection moulding technology). OVERVIEW Multiple Wearing Type: Wear on wrist as smart band. Huawei Watch 2 carbon black sports strap brought as a present. Condition is Used but like new only used for about 2 weeks comes in original box with spare charge cable and screen protector on, very nice watch only selling as i have a iphone and apple watch . Dispatched with Royal Mail Signed For® 2nd Class. Sizes: Approx. 43mm x 17.2 mm x 11.5 mm (body size); Approx. 126 mm 95 mm (wristband length). Install APP "Huawei Health" via QR-code. Open APP and follow its instruction, then pair the smart device. Explore further and deeper with high performance. The paired band will let you leave your phone behind, while keeping you connected to the pace of your life. Android 4.4 / iOS 8.0 . Style is nothing without comfort. No scratch on watch face. Adjustable watch strap. On the Watch, the following;. Heart Rate. Fit workout. Fit Breathe. Find my phone. Excellent condition with some minor scratches around the metal edge not the screen face. Receive incoming call notifications and messages. Dynamic heart rate monitoring Water resistant Sleep tracking, step counter and heart-rate is as accurate as a smartwatch can get. Comes with full original packaging/box and accessories. Dispatched with royal mail 1st class post or collection from Walton on Thames KT12. 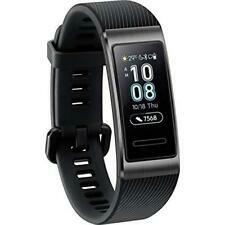 Smartwatch Model:Z60 Smart Watch Phone. - Android Compatibility: Android 4.3 or above. For iPhone, it can be paired with phone via Bluetooth, but no corresponding APP, it only supports partial functions, including Calls alert. The Huawei Watch GT tracks your fitness with detailed, accurate data. Now you can get more accurate data through AI software model and next generation hardware. Enjoy continuous real-time heart rate monitoring for impressively reliable data, including warnings if your heart rate gets too high. High speed 4G LTE connectivity for an outstanding communication performance. Industry-leading power saving performance to keep you connected for longer. Display Information 35.3mm . Battery Typical usage time of up to 14 days. 2 hour charge. Features Water resistant. Heart rate monitor. Pedometer. Distance. Calories. Sleep. EAN: 6901443262151. Huawei smart watch. Condition is Used. Dispatched with Royal Mail 1st Class. 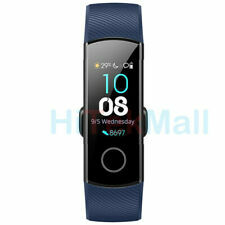 Model: Huawei Honor Band 4. Bluetooth Version: V4.2. Dial Shape: Rectangle. Built-in Chip Type: Honor Chip. Band Material: TPU. Equipped with six-axis sensor / automatic recognition of the main strokes (freestyle, breaststroke, butterfly, backstroke) / record speed, distance, number of turns, calories, average SWOLF and other data.